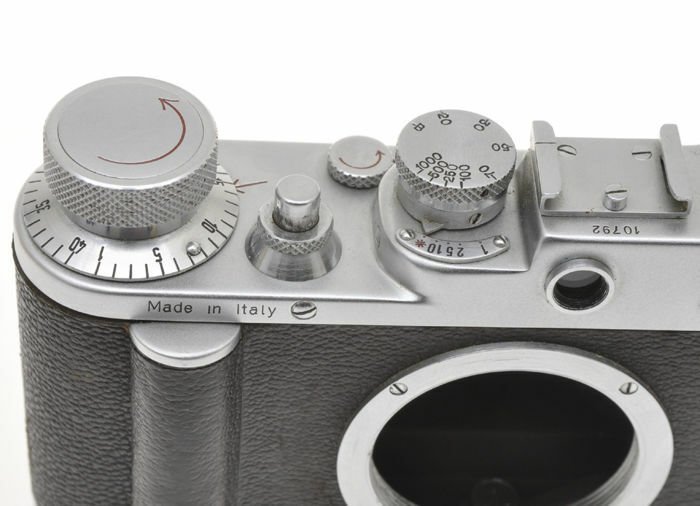 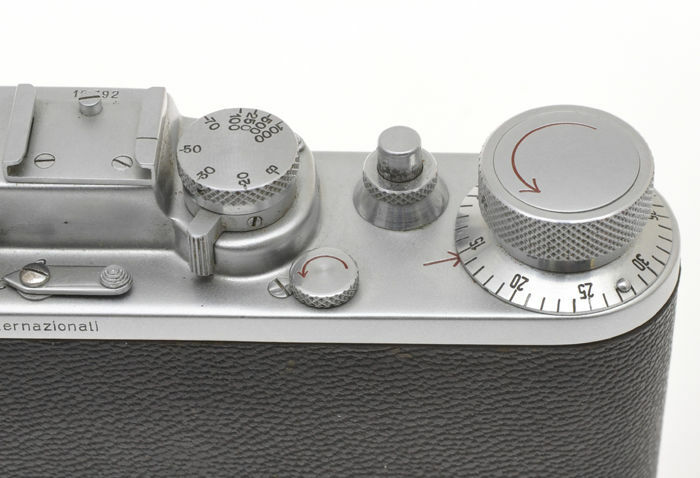 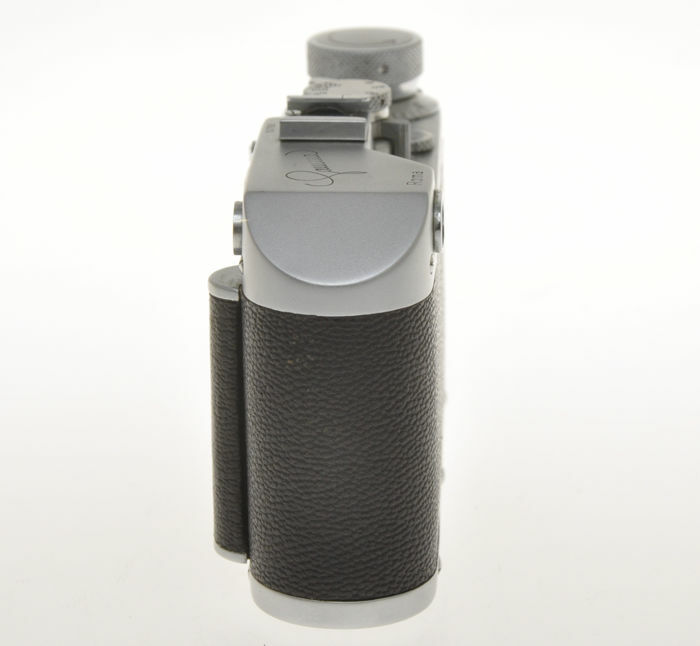 This is one of the example produced of the rare 35mm rangefinder Gamma camera, the italian Leica copy, made in Rome, around 1950 with M39 lens mount. 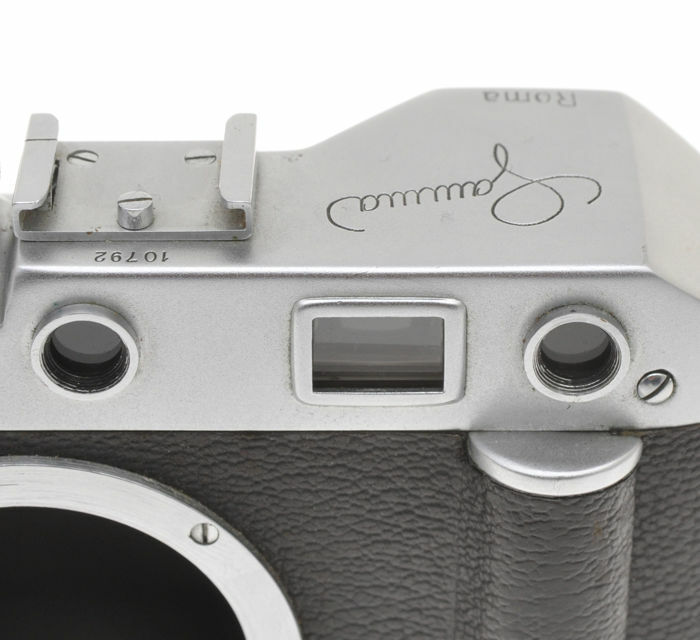 It's the Gamma III, the second version, of the first modelo, before the version callad Gamma III-A. 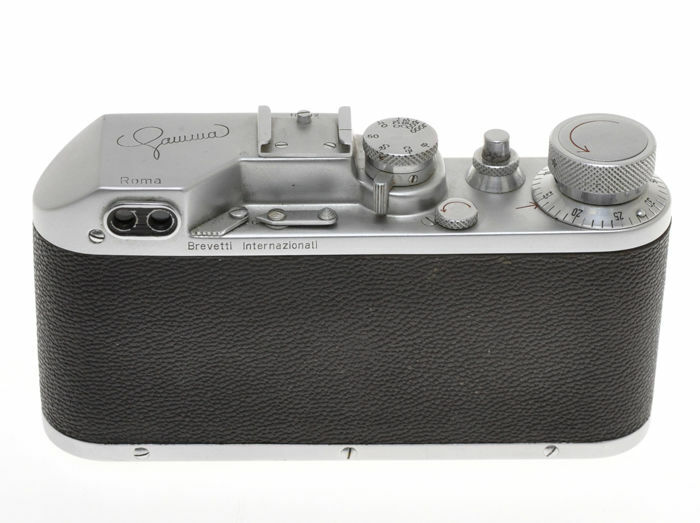 The production of the Gamma III-A started with the serial n. 10800, this camera has the serial number 10792, so it's one of the latest of its version. 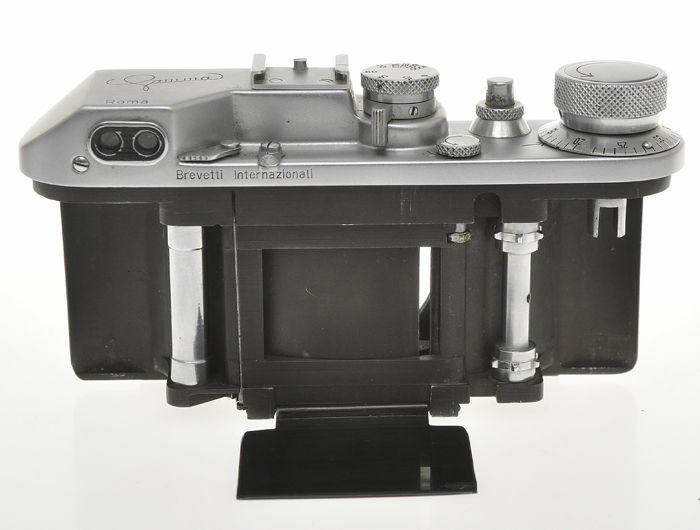 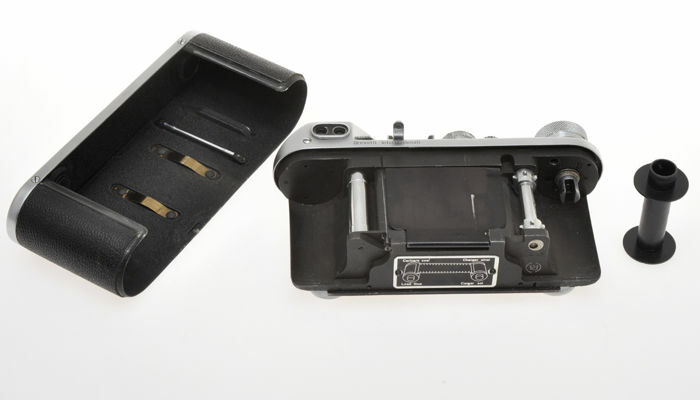 This camera is in exc+++ condition, but only because there is a "sink" on the base plate, where there is the tripod attachment (visible in the last pictures). 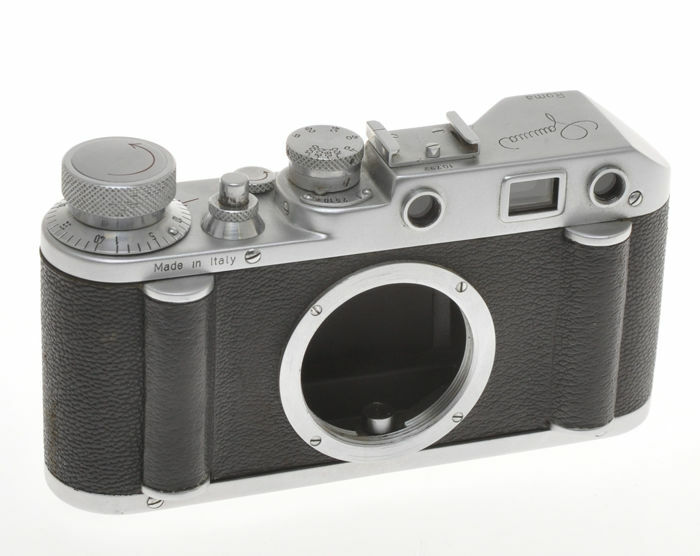 Without it, it would be one of the most beautiful cameras we have had. 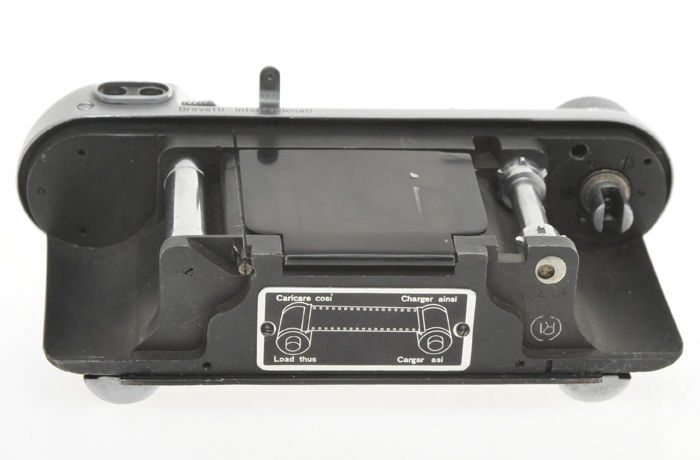 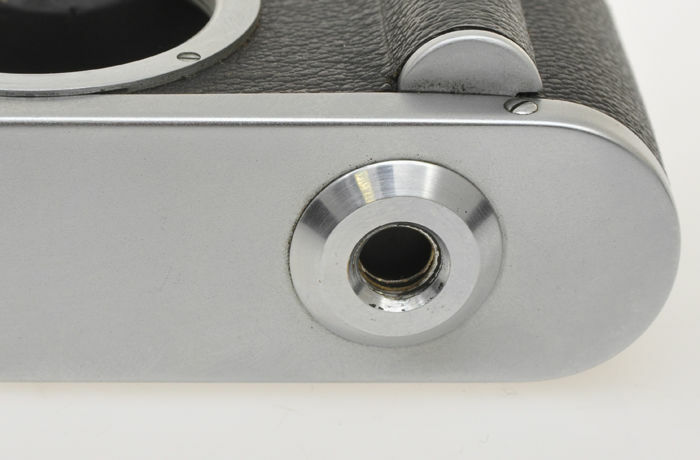 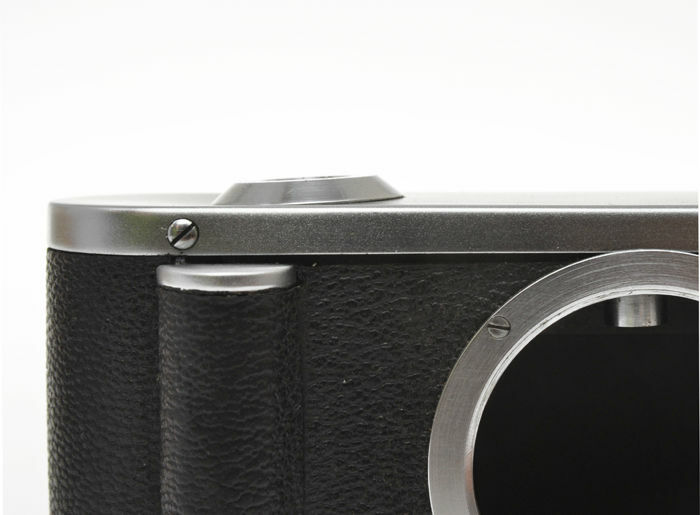 The shutter, with its particular metal curtains (they are curved), isn't in working order (shutter was the biggest "weak points" of these cameras). 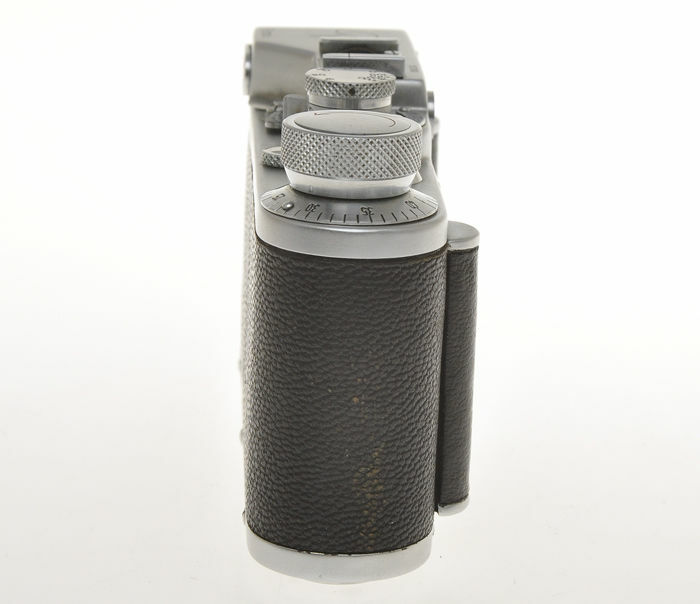 The rangefinder has a slight vertical misalignment. 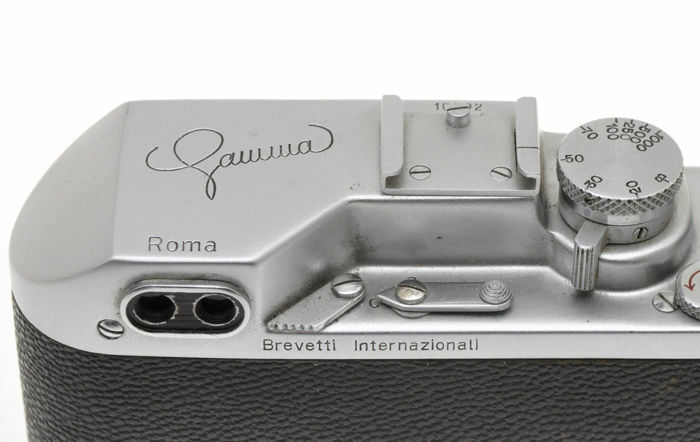 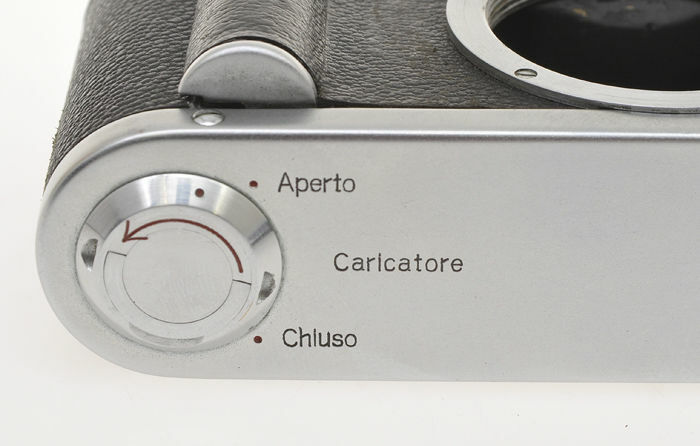 It's one of the rarest Italian cameras.